Space is becoming popular with billionaires. 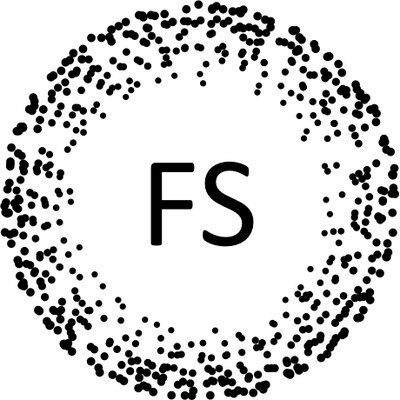 Elon Musk, Jeff Bezos, and Richard Branson all have their eyes set on the stars. Their ventures signal a new private sector-led era of space exploration. Whether it’s space tourism, asteroid mining, or Mars colonization, private companies seem to be taking a part in everything. This is a change from an industry once dominated by governments. No longer is a superpower rivalry pushing Washington and Moscow to race for the stars. Now companies are the ones racing. Commercial space activities make up more than 70 percent of the sector. Morgan Stanley estimates the space industry may be worth $1 trillion by 2040. Bank of America nearly triples that estimate to $3 trillion. To learn more about the implications of space commercialization, Filling Space spoke with Walter Block, Harold E. Wirth Endowed Chair and Professor of Economics at Loyola University New Orleans, and Peter L. Nelson, a professional engineer. They recently co-wrote a book on this very subject called Space Capitalism: How Humans will Colonize Planets, Moons, and Asteroids. How can private enterprises make profit from space colonization? WB: The same way businesses can make a profit from anything else; buying low and selling high. Investing in raw materials that will bring in more money after the final product sold. There’s no economic difference between mining gold on Earth and collecting green cheese on the moon. PN: To make profits in space, entrepreneurs should be attuned to what people desire. 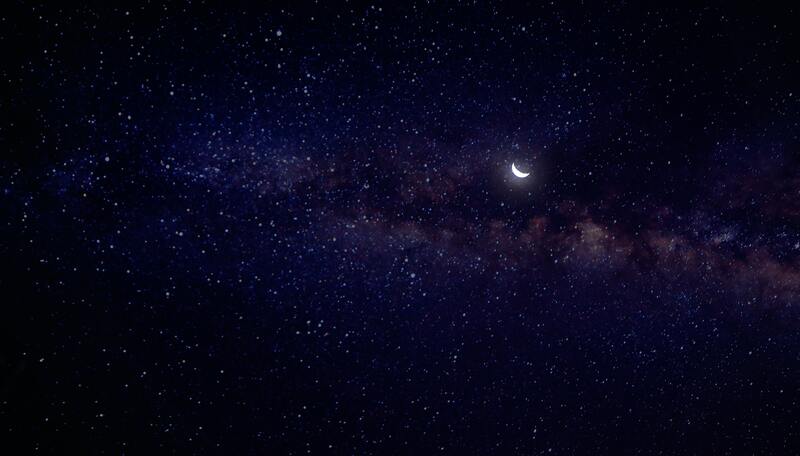 As we write, many people would like to travel to space, to see Earth from afar: an orbit, the moon, or even just a short trajectory above the atmosphere. Others want to explore Mars. Further, people want resources, or the products made from them. As the cost of transportation comes down, as always happens with new technologies, those readily available reserves in the asteroid belt and other planets will become more and more competitive with those on Earth which require complex digging in difficult locations: at 5,000 feet underwater, in frozen polar caps, at excessive depths below the surface. How can private enterprises lead space exploration when it requires substantial costs with little return on investment? WB: Who says there will be little return? The sky’s the limit. If there’s a nuclear war on Earth, and a firm can transport people to the moon or Mars where it is safe, they can earn gargantuan profits. PN: People are naturally curious. The inquisitive are ever willing to pay for more information regarding what is out there. That potential income will pay for basic research and investigations throughout the solar system and beyond. The supposed lack of return implied by this question merely controls the rate of investigation. The implication that force is required to speed up the process ignores the expense of war resulting from that sort of aggression. As David Boaz says in The Libertarian Mind: A Manifesto for Freedom, “The increasing perception that rewards are handed out by government on the basis of political pull, rather than earned in the competitive marketplace, encourage polarization and social conflict.” The use of force is self-defeating in this manner. There is no need for a malicious organization to coerce others into space exploration. It will happen naturally when entrepreneurs respond to the curious. What do you recommend for new entrepreneurs entering to space industry? 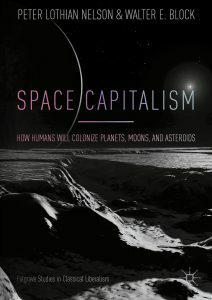 WB: To read my co-authored book, Space Capitalism: How Humans will Colonize Planets, Moons, and Asteroids. Then, become a libertarian. Promote liberty on Earth and in the heavens. Then, help keep the government’s mitts off space exploration. End NASA! NASA should be ended, and the funds presently allotted to it turned over to the long-suffering taxpayers. Why? First and foremost, these taxes are compulsory; if you do not pay them, you go to jail. It ill behooves our species to take to the stars and other planets so unjustified a system. Second, NASA is a government agency. As such, it need not pass any market test of profit and loss. If it does a great job, it will not automatically be rewarded with additional funds. If it does a poor job, its finances will not take a hit. Yet, this very profit and loss system, capitalism, is what made our country great; it is what allowed NASA to be formed in the first place. Every private firm has to pass muster under this system. That is why we can expect more productivity from this part of our economy. These general principles apply to all economic endeavors. Space exploration and settlement is no exception. PN: Impresarios of drama in the cosmos should develop their inquisitive natures. Those without active imaginations will look for jobs. They will do as their bosses say and, thus, will help achieve the dreams of the entrepreneurs. Such will garner rewards in accord with their contributions. In contrast, those who envision colonies on Mars, mines on asteroids, fleets of speeding spaceships, and similar enterprises, and who possess the commitment to organize the necessary inputs will steer humanity abroad and reap the larger rewards in personal satisfaction as well as in financial prowess.